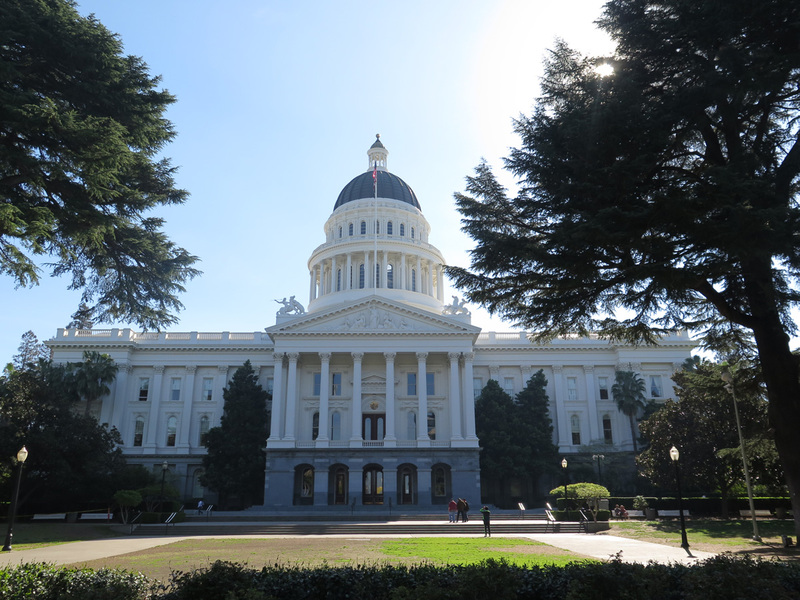 The California state capitol building resides along 10th Street beyond the eastern end of Capitol Mall. The state legislature meets in this historic building, which was built to emulate the design of the U.S. Capitol building in Washington, D.C. 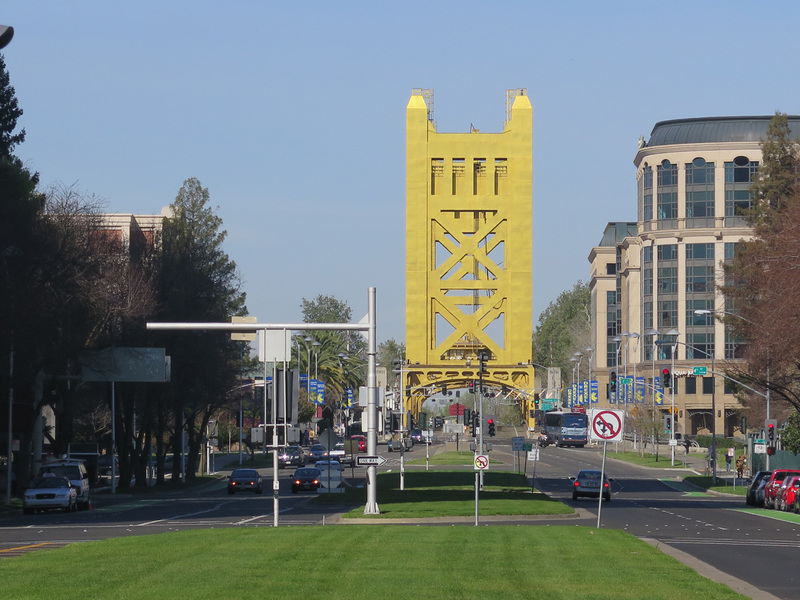 The west end of Capitol Mall ties into the Tower Bridge, a 1935-built lift bridge connecting Downtown Sacramento with West Sacramento. 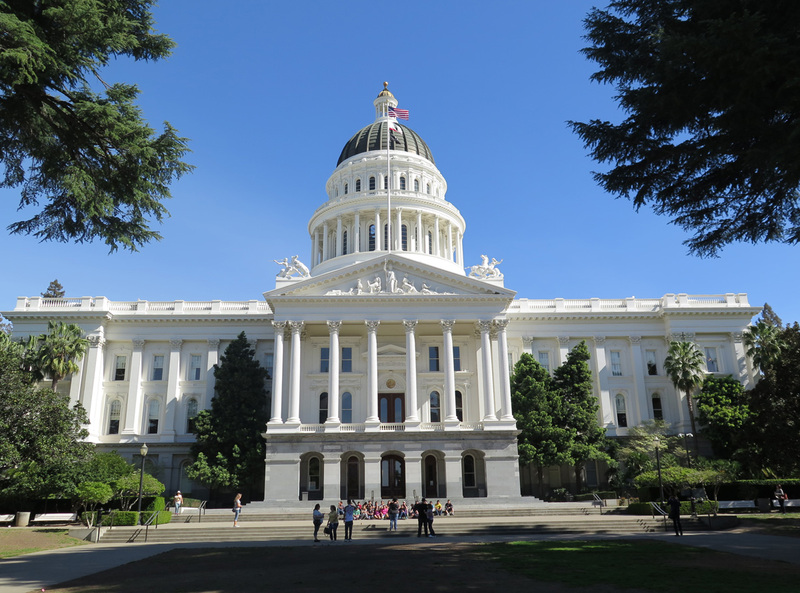 The city of Sacramento is the capital of the state of California and serves as the seat of Sacramento County. 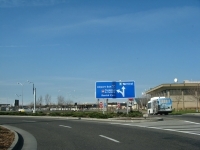 A regional employment center, Sacramento sits at the intersection of Interstate 5, Interstate 80 (former U.S. 40), U.S. 50, and California 99 (former U.S. 99). Several state routes — including California 16, California 65, California 84, California 113, California 104, California 160, California 193, and California 275 (Tower Bridge) — all converge in the metropolitan area. 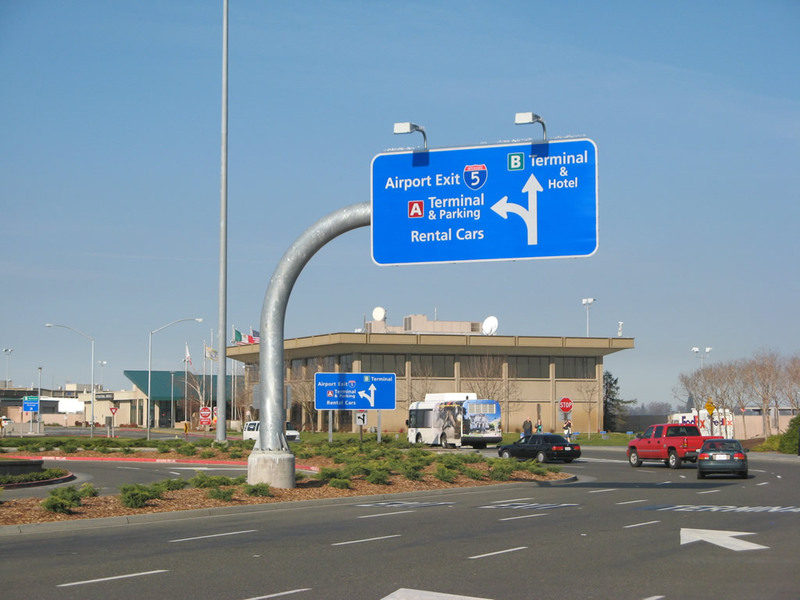 Interstate 80 divides into bypass and business routes, with Interstate 80 avoiding downtown by staying to the north and Business Loop I-80 (Capital City Freeway) directly entering the city as a freeway and looping from Interstate 80 between West Sacramento and Roseville. Located at the confluence of the Sacramento and American Rivers in the Central Valley near the California Delta, Sacramento had a population of 466,488 as of the 2010 Census, which represents an increase from the 2000 city population of 407,018. Not counted in this total are the nearby suburban cities and unincorporated communities. Sitting at an elevation of 25 feet, Sacramento lays at the valley floor. 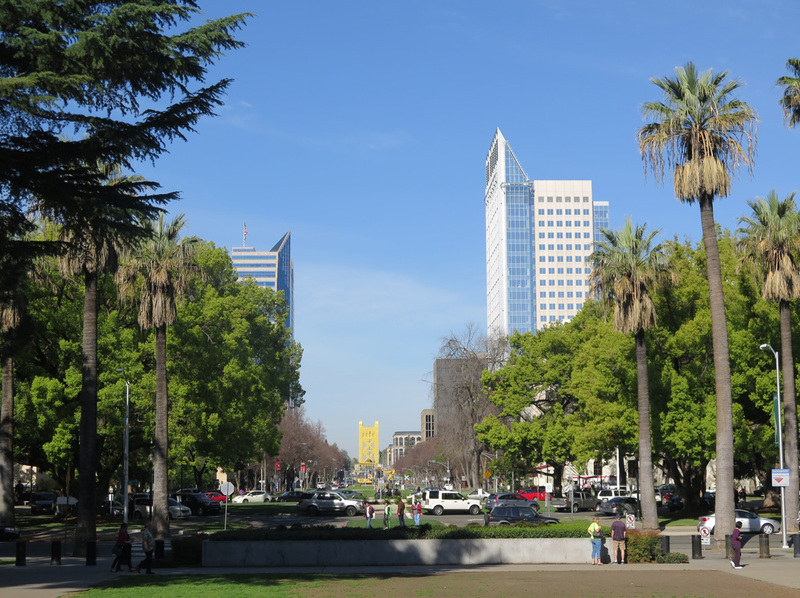 Sacramento was incorporated as a city on February 27, 1850. 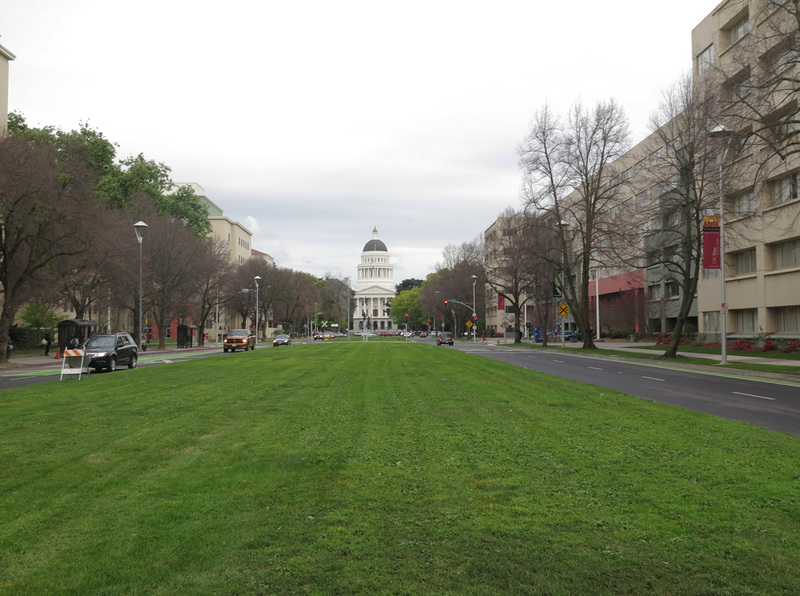 The centerpiece of downtown is the state capitol building, which lays at the end of Capitol Mall. The state capitol building was constructed between 1860 and 1874. Interstate 5 parallels the Sacramento River as it enters the metropolitan area. At some points lower than the nearby riverbed, Interstate 5 snakes through a depressed section of freeway as it passes through downtown Sacramento. 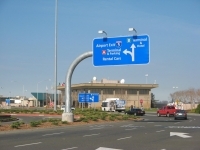 The freeway emerges on the north side to meet Interstate 80, then continues to the Sacramento International Airport, the Sacramento River Bridge, the northern Central Valley, following old U.S. 99W. Interstate 5 is the major north-south corridor for the movement of goods and services along the West Coast, and the traffic delays in the city of Sacramento have created some ideas of either relocating the freeway to a new alignment or creating a bypass around the city. Such talk is in the preliminary stages and may result in a very expensive project. Interstate 80 is the region’s primary east-west route, following Old U.S. 40. It begins in the San Francisco Bay Area, then heads northeast into Sacramento via Vallejo, Fairfield, Vacaville, and Davis. Interstate 80 used to follow Business Loop I-80 into the city, but it was rerouted in the 1980s to follow old Interstate 880 around Sacramento to the north. Interstate 80 continues northeast into suburbia, passing through a variety of bedroom communities on its way up the hill to Donner Pass and Truckee. The freeway continues its cross-country journey, entering Reno as the next city of significance. Business Loop I-80 is the Capital City Freeway. It is the original route of Interstate 80 prior to the mid-1980s when it was renumbered due to substandard segments of the Elvas Freeway. Business Loop I-80 is hidden Interstate 305 between Interstate 80 in West Sacramento and California 99 in Sacramento, and it is hidden California 51 between California 99 and Interstate 80 / California 244 (Auburn Boulevard). U.S. 40 is the historic route of Interstate 80. It is signed in some areas with brown shields, but it is generally difficult to follow without a good old map. 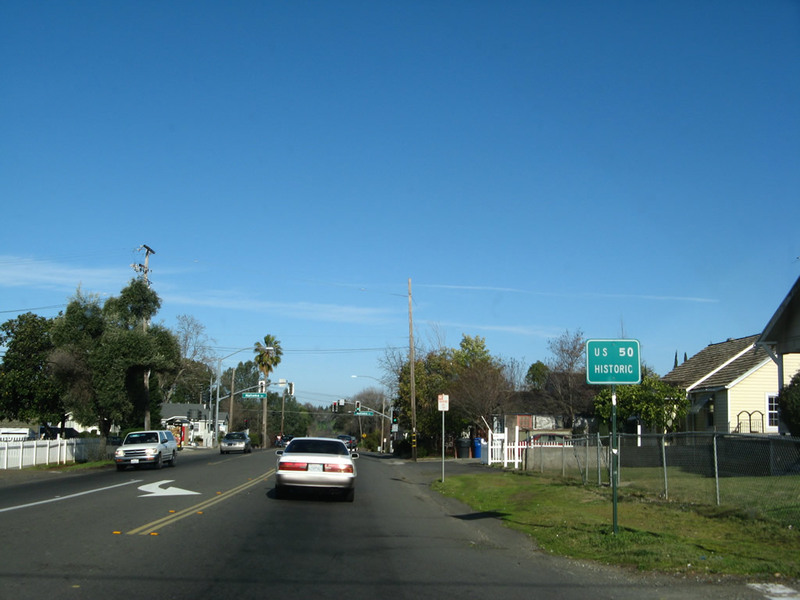 In West Sacramento and in Roseville, Historic U.S. 40 is signed with a black and white historic rectangular shield along West Capitol Avenue. U.S. 50 is the primary freeway leading from Lake Tahoe, Carson City, and central Nevada. 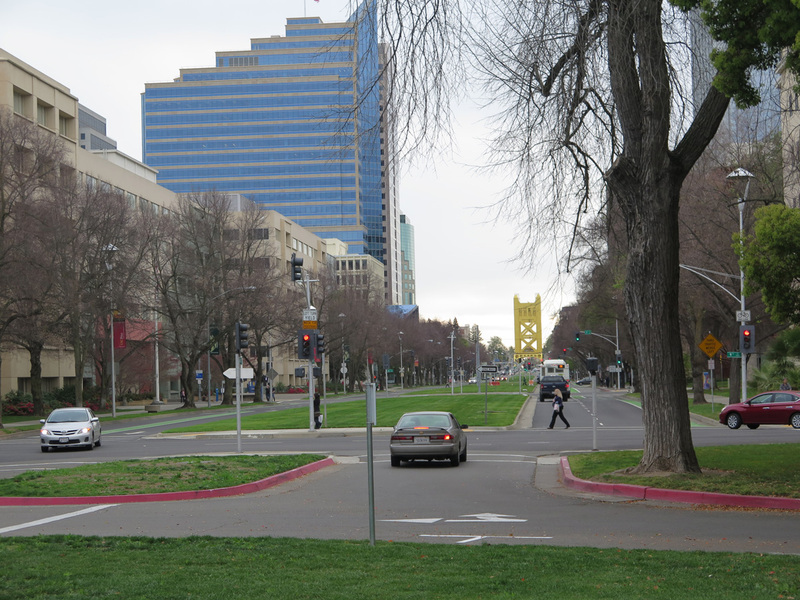 It rapidly changes from a two-lane mountain highway into a ten-lane freeway as it enters Sacramento. 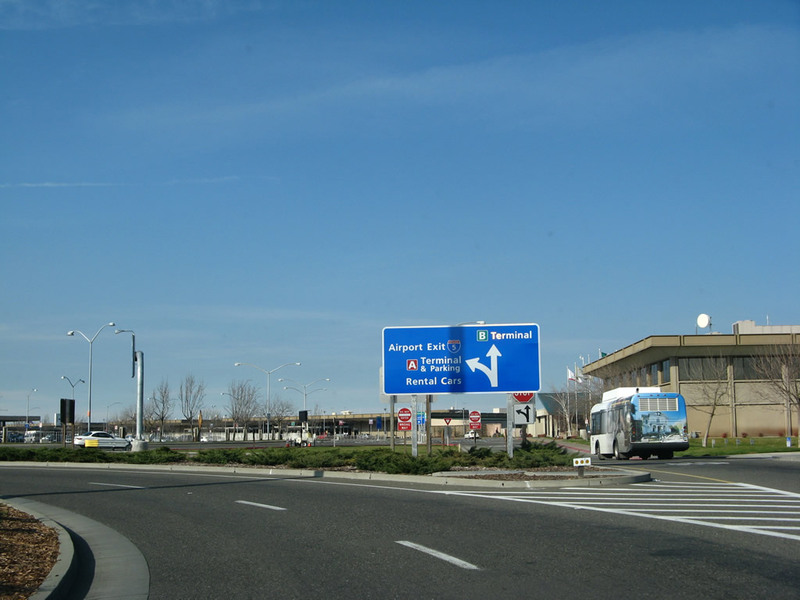 The cross country route concludes at an interchange with Interstate 80 in West Sacramento. 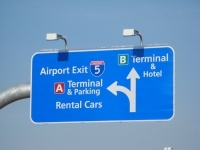 A mileage sign posted at the eastbound beginning shows the distance to Ocean City, Maryland. California 99 is Historic U.S. 99 as it approaches the capital city from the south. 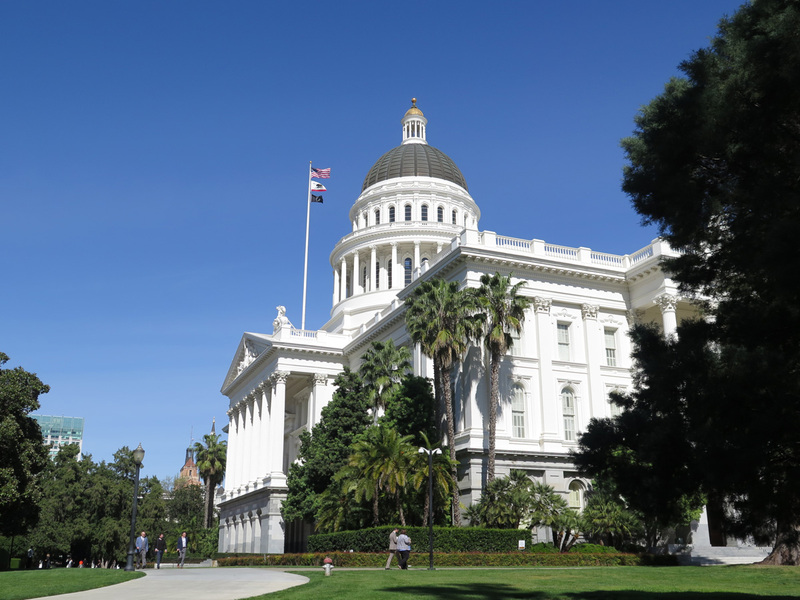 Joining with Business Loop I-80 and silently merging onto Interstate 5 northbound, California 99 is hard to locate without a map from downtown Sacramento. 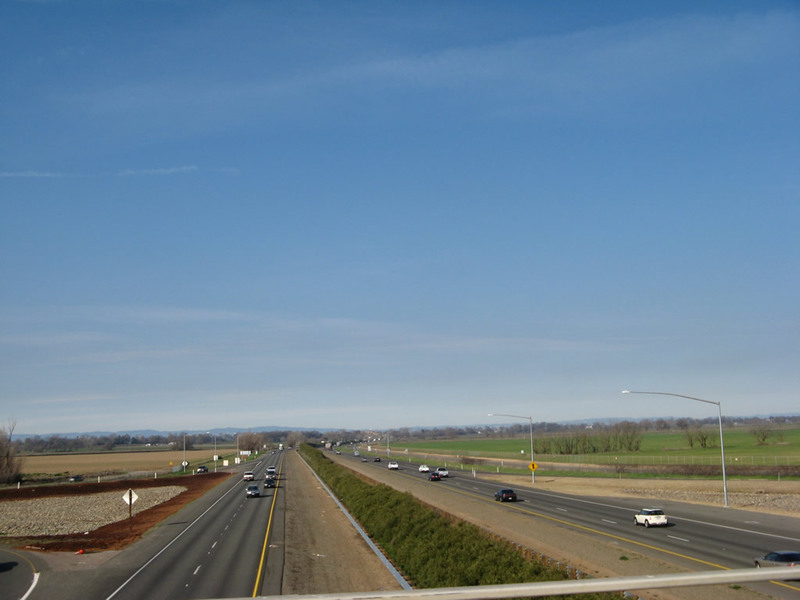 The freeway frees itself from Interstate 5 just east of the Sacramento International Airport, and it continues north into the Sacramento Valley, serving Yuba City and Chico en route to Redding. North of Sacramento, U.S. 99 used to divide into eastern and western segments. U.S. 99E followed U.S. 40 northeast to Roseville, then followed California 65 and California 99 to Red Bluff. 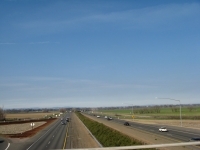 U.S. 99W followed U.S. 40 west to Davis, then followed California 113 north and Interstate 5 north to Red Bluff, where the two routes merged back together to reform U.S. 99. While certain sections of U.S. 99, U.S. 99E, and U.S. 99W are posted with brown historic route markers, they are inconsistently applied and not reliable (generally) for navigation. California 16 is a split route, with the western segment connecting California 20 in Colusa County with Interstate 5 in Woodland. At one time, California 16 continued into downtown Sacramento via Sacramento Avenue, but it was decommissioned in the city center. The eastern segment of California 16 begins at its junction with U.S. 50 and continues southeast toward the Gold Country. 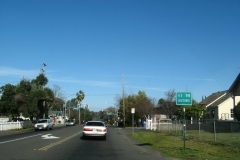 California 84 is Jefferson Boulevard, a north-south route leading from the delta north into West Sacramento. This route is not signed in Yolo County but is mileposted. In Solano County, it is signed. California 160 is now a split route, having the portion through downtown decommissioned in the early 2000s. The northern segment is the North Sacramento Freeway, and the southern segment follows the Sacramento River via Freeport Boulevard en route to the California Delta. 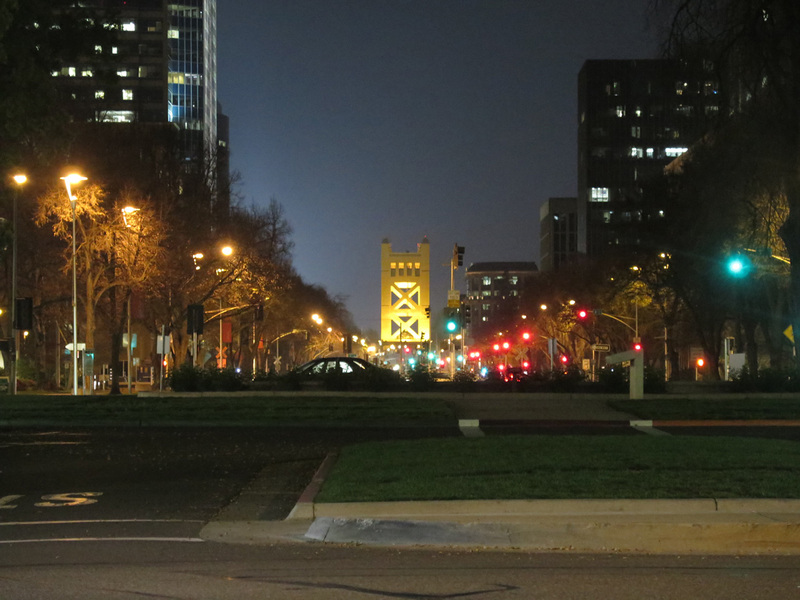 California 275 is the Tower Bridge across the Sacramento River, which links Tower Bridge Gateway in West Sacramento with Capitol Mall in Downtown Sacramento. Totaling just 0.138 miles across the span, the route is unmarked. 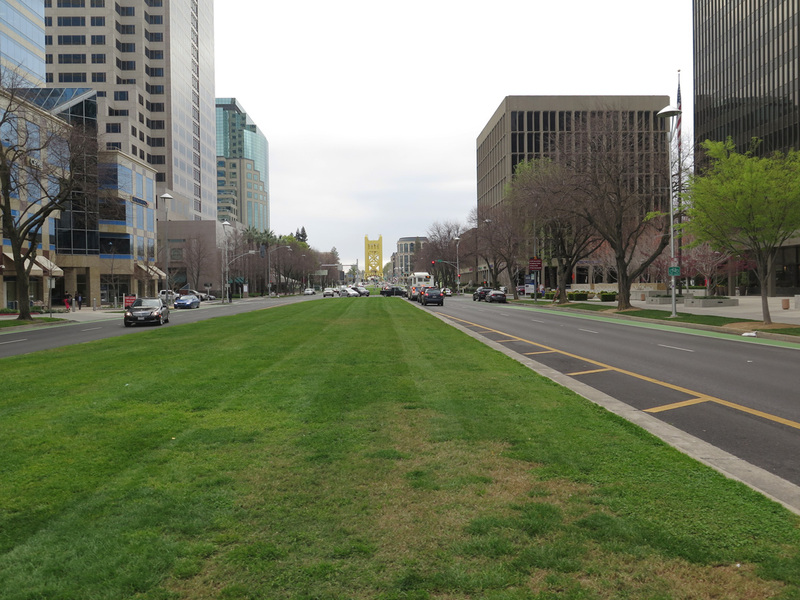 Prior to 1996, the state route comprised a former spur freeway route between Business Loop I-80 in West Sacramento and the east end of Capitol Mall at 9th Street in Sacramento. The Tower Bridge Gateway redevelopment project converted the freeway west of the Tower Bridge into a surface boulevard. 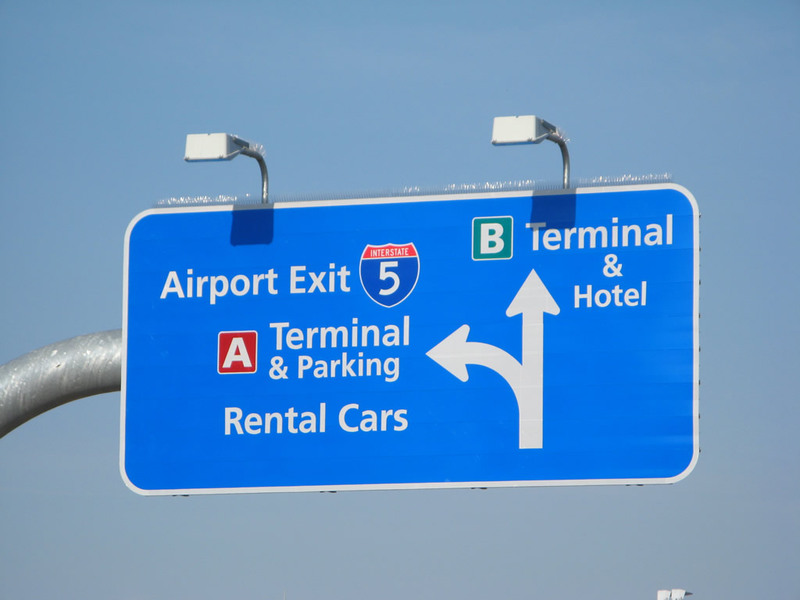 Surrounded by farm fields and the Sacramento River, the Sacramento International Airport (SMF) is located north of Downtown Sacramento. The Folsom Truss Bridge was originally built across the American River on February 22, 1893, replacing the Ecklon Toll Suspension Bridge, which collapsed the previous year. For a time, this truss bridge served as the only crossing at this location, but it was replaced with the opening of the concrete arch Rainbow Bridge in 1919. By 1930, the bridge was removed from Folsom and became known as Walker Bridge, crossing the Klamath River along Walker Road. On April 15, 2000, the truss bridge was returned to Folsom and reopened back in its original location for bicycles and pedestrians. Photos taken 02/17/07. Views of the Folsom Boulevard Bridge over the American River/Lake Natoma as seen from a pathway along the south shore. This is a much newer bridge than the Rainbow bridge located upstream in Folsom (opened on August 14, 1999, after two years of bridge construction). Photos taken 04/01/04 and 02/17/07. The new “Folsom Lake Crossing” connects East Natoma Street with Folsom-Auburn Road. The new road leads east of Folsom Prison and west of Folsom Dam (dam built in 1955). In spite of the name, “Folsom Lake Crossing” does not actually cross the lake but instead crosses the American River. On March 28, 2009, the city of Folsom opened the bridge in a special opening celebration; the road opened to traffic at 4:00 p.m. These pictures show the bridge traveling north on the crossing road, the bike paths alongside the bridge and approach road, some views of the side of the bridge, and nearby approach roads and paths. Photos taken 04/11/09. 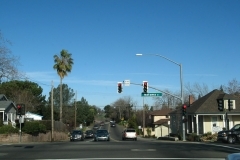 South of downtown Folsom, a Historic U.S. 50 sign is posted along northbound Riley Street prior to the traffic signal with Natoma Street. This sign was gone by April 2009. Photo taken 02/17/07. 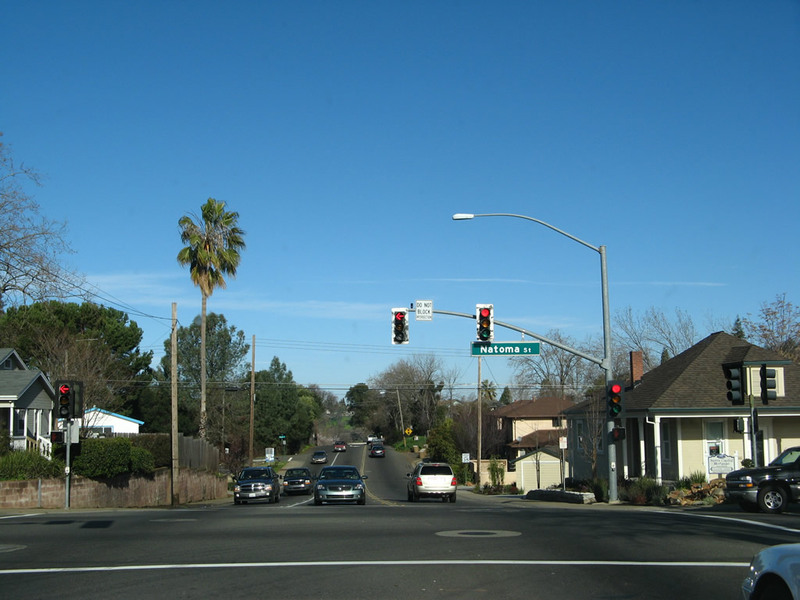 Northbound Riley Street meets Natoma Street, which heads east from Folsom Boulevard to the Folsom Lake Crossing and points east in El Dorado County via Green Valley Road (Blue Ravine Road). Photo taken 02/17/07. Folsom has a system of bikeways independent from the road network that offer connections from the downtown area to the various nearby neighborhoods. This suite of photos shows some of the bike paths that are on dedicated rights of way, typically located alongside streets, on utility corridors, and behind homes in parts of Folsom. Most of these pictures were taken along paths near the Briggs Ranch and Parkway developments. There is also an array of power lines (most likely Bureau of Reclamation, PG&E, and/or SMUD) that wind their way through the neighborhoods south of Folsom Dam. Photos taken 04/11/09. A bike path also encircles Lake Natoma. The path extends west from downtown Folsom on the south side of the lake toward the dam at Hazel Avenue, then switches to the north side of the lake for the return to Folsom. This tour follows a clockwise direction around Lake Natoma, with passage over the American River afforded via the Hazel Avenue bridge west of the Lake Natoma Dam. Photos taken 02/17/07. Page Updated June 22, 2018.